ROBERT Downey Junior, Benedict Cumberbatch and the cast of new Marvel film Avengers: Infinity War could be heading to Edinburgh's City Chambers. The actors along with Scarlett Johansson, Samuel L Jackson, Chris Hemsworth, Karen Gillan, and a host of other A Lister's are prepping to film the massive movie in Scotland and London in March and May. 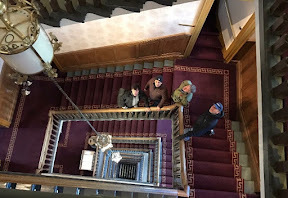 Although a veil of secrecy is currently surrounding the exact locations that will be used, Captain America Directors The Russo Brothers who are working on the new film had posted up a picture of themselves 'scouting' for locations on a grand stairway on social media - and fans had been left wondering where it was located. Now an eagle eyed Reddit user Brian Grodzki has put two and two together and revealed it as the City Chambers in Scotlands capital. 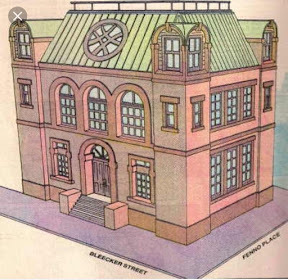 Although it's currently unknown what the building may be used for it is thought it may have something to do with Doctor Strange's lair Sanctum Sanctorum.